Enviroclean USA LLC is a company that incorporates technology at all levels to increase communication between Client, Cleaning Management and Front Line Cleaning Staff. We supply our day porters and team leaders with iPhones to incorporate email technology to communicate Client Requests and Work Orders streamlining the process from when the work order is requested all the way to confirmation with client that the request has been completed. This includes taking before and after pictures and relaying this back to client after work has been completed. 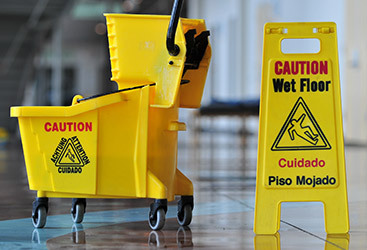 This process removes the responsibility from client to janitorial staff to communicate the WorkFlow of the request. We have found our clients appreciate this service so they can focus on other items. We utilize this modern cleaning program because it provides a more comprehensive approach towards cleaning commercial facilities by utilizing a checks and balances system to insure all functions are completed accordingly. Most commercial cleaning company still use Zone Cleaning Approach which is outdated, less effective and provides no quality assurance. 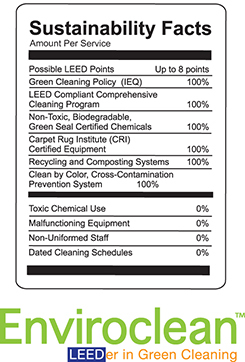 Whether a commercial building is a LEED facility or just trying to keep their building as clean as possible with our program they will be getting the same quality of service as a LEED Platinum facility would receive because our cleaning program was developed in 2007 with the latest technology and cleaning procedures that are continuously updated universally. 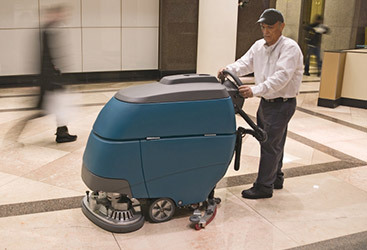 Most janitorial companies are 10, 20, 30 years old using the old program they were founded on. Their employees have been performing these old techniques for years and its very difficult to update their cleaning program from old school to new school because of all the infrastructure they have on the old system. Its almost impossible for them to stay current and have a LEED Compliant cleaning program. Most of these commercial cleaning companies are performing green cleaning to a very small percentage of their clients and practicing old cleaning and purchasing to most of their client base. -Time Management Systems: We utilize an APP that for our employees to use to clock in and out at the job site. The APP is GPS enabled and all employees are required to own a smartphone so we have 100% compliance. This allows us to manage labor cost effectively and also serves as a confirmation for Operations Management Personnel that employees have arrived as scheduled. This allows us to deliver a lean cleaning program by managing our employees every shift, every day. Most janitorial companies are still using dated written scheduling and time and attendance practices that does manage their employees as effectively as they could. This results in higher turnover, poorer cleaning curriculum by employees and higher prices. -Quality Assurance Systems: In order to maintain the cleanliness of any facility a systematic quality assurance program is a necessity. We have a designated employee that performs routing inspections in all of our clients facilities. We utilize cloud based software along with its APP and iPad to perform these inspections which are then sent to Operations Management Personnel for review. We use the APPA Custodial Guidelines as a benchmark when performing inspections. We have found this format allows us to focus on any problem areas specifically before the client realizes there might be a performance issue. A proactive approach to customer retention. -Digital Checklists: We are currently transitioning all of our hard copy checklists at each facility to a digital, cloud based program. Currently, employees are required to manually check off cleaning functions as they are performed but soon this will be done electronically using an APP for each team member. Each shift the completed digital checklist will be emailed to Operations Management Personnel and archived in the cloud. This measure will assist with fast tracking data from user to supervisor and also increase accountability for each employee.